Customize your GIFs like never before! Add your own voice, a song or any sound clip to your favourite GIFs, or create your own GIF/video to express yourself when words won't do. Be crazy, creative and hilarious. However you feel, GIF OUT LOUD! Sometimes words just don't express how we're feeling. Sometimes emojis don't, either. Hell, even regular GIFs fall short sometimes. So what can you do when you need to let your feeling be heard? Gif Out Loud, that's what! Customize or create your own high quality gifs and videos then add a custom audio track and share them with friends in seconds. 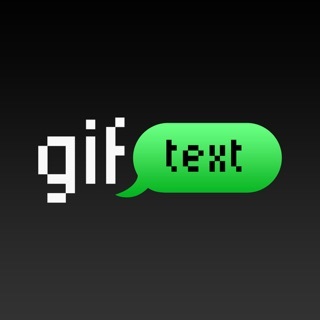 It's a new way to GIF, and we love it! o Add sound to any GIF; your voice, the perfect sound clip, a song or anything else! o Save your favourites to your phone! Gif Out Loud requires full access in your iPhone settings in order to send the gifs to your keyboard. We DO NOT save your keystrokes, record, transmit or store anything that you type. We just need access to the Internet to send you the greatest gifs of all time. READY TO GIF OUT LOUD? DOWNLOAD FOR FREE TODAY! Just cleaning out some annoying bugs! Want to see a new feature or want to tell us HEY? Send us an email at feedback@gifsoutloud.com. I absolutely love the app. It’s so simple and easy to use and my friends are always wondering how I am making my messages. Ayyye- you made our day! We are so happy that you are enjoying the platform!